SWLEOC in Epsom is one of the leading orthopaedic centres ever established and has gained worldwide recognition. With exceptional Consultants and highly trained staff, SWLEOC has been listed as a Centre of Excellence. 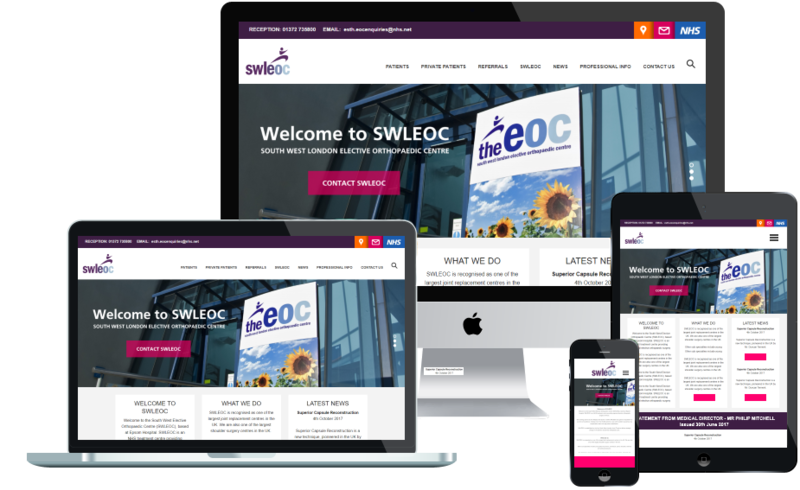 ​SWLEOC wanted a clean, crisp online presence for their patients to be able to research the operation they were due to be admitted for and select the Consultant they wanted to perform the operation. SWLEOC also required a secure login facility for staff to view documents and post entries to. Venture have delivered a creative, engaging website for the South West London Elective Orthopaedic Centre. The team were extremely approachable and we would have no problem recommending them to others within our sector.